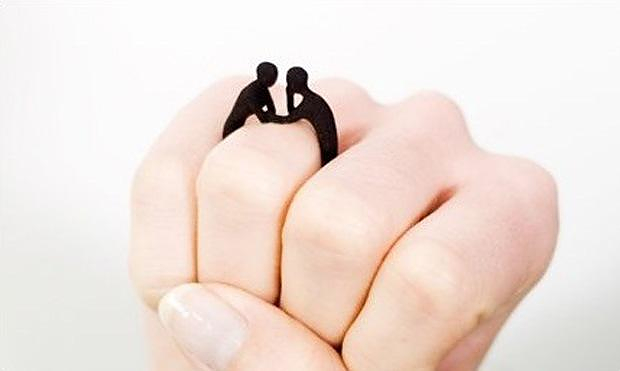 HomeBlogFashion & StyleTwo-Gether Ring by Studio Mango. 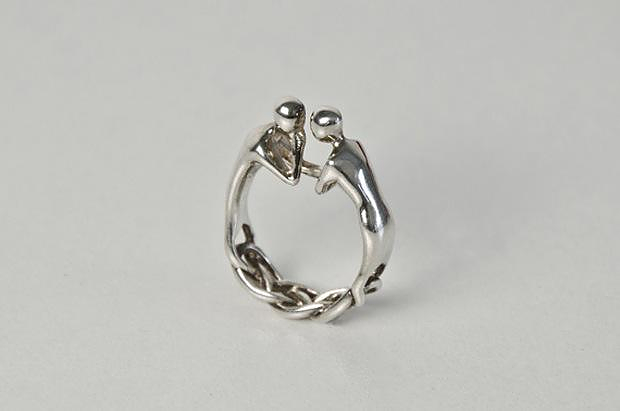 The Two-Gether ring by Studio Mango is a romantic object composed by two communicating figures, gently touching each other and linked by a strong chain closing the ring. Its design is one of the numerous results of the very first FOC Talents competition proclaimed by Freedom of Creation. 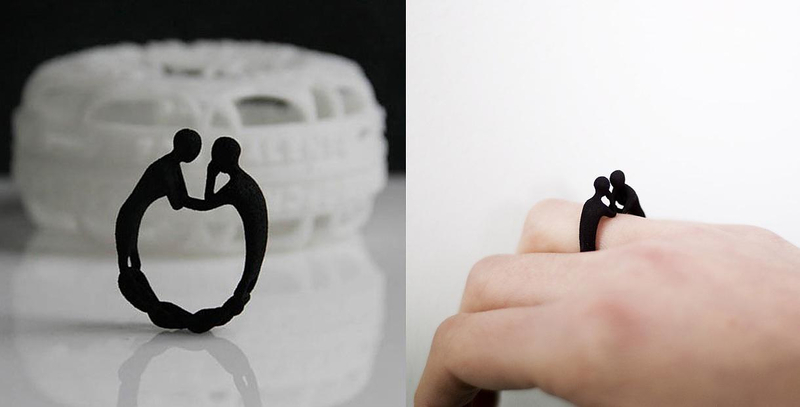 A Dutch design and research company that specializes in design with 3D printing technologies. 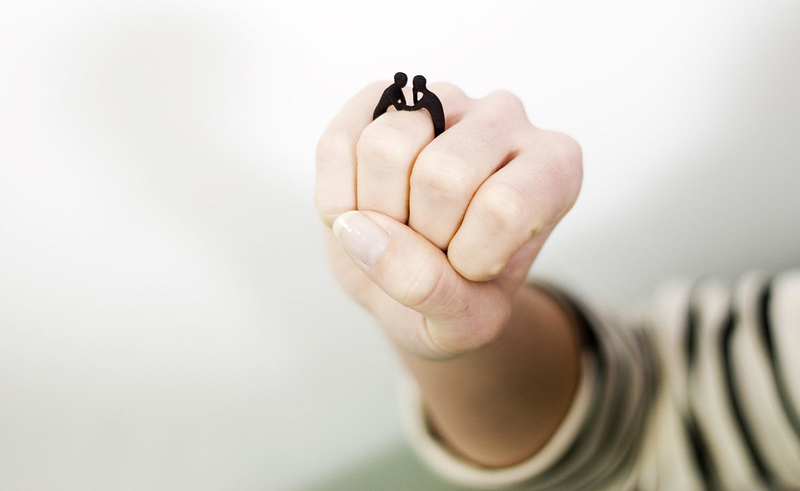 Freedom of Creation invited fifteen young and promising 3D designers from all parts of the world to become part of the FOC Talents network.Dutch designer Ted Noten created the first design brief for FOC Talents and the first Talents assignment was related to the ring. 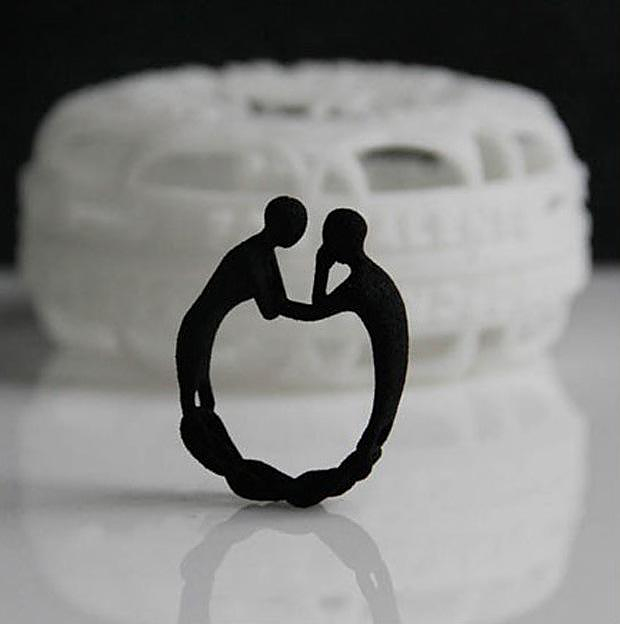 The outcome of the “wedding ring” contest was the stunning Two-Gether ring which is manufactured using a unique 3D printing method. 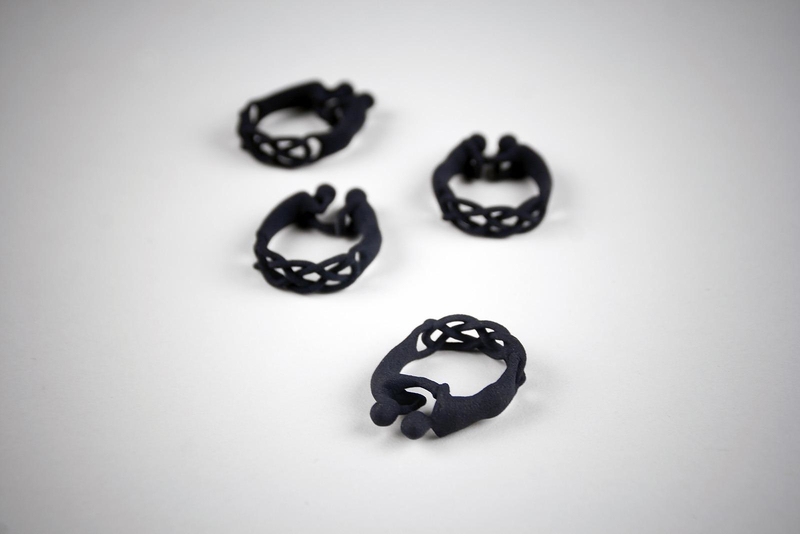 It is 3D Printed either in Nylon or Alumide (an Aluminum and Nylon mix). 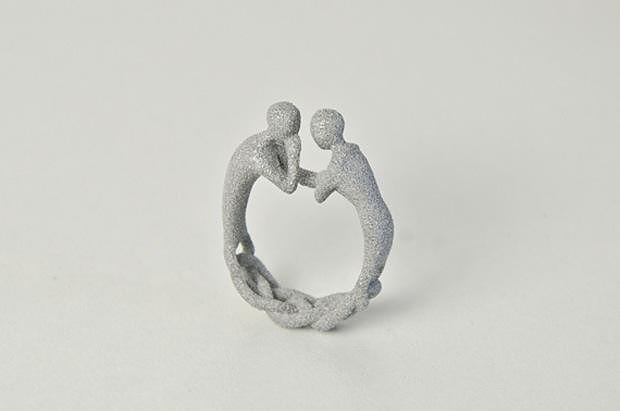 Finally for those that prefer heavier and more traditional materials, a silver Two-Gether ring is also available made of 100% sterling silver. Hello! I used to have a Two-gether ring, unfortunately I have lost it. Is it possible somehow to still buy one? It meant a lot to me. Thanks for any suggestion you may provide.